Following on from their Golden Globe success, Saoirse Ronan and Martin McDonagh have been nominated for this year’s BAFTA Awards. ‘Three Billboards Outside Ebbing, Missouri’ has done extremely well once again, garnering 9 nominations in total for Best Film, Outstanding British Film, Best Director, Best Original Screenplay, Best Actress (Frances McDormand), two Best Supporting Actor (Sam Rockwell, Woody Harrelson), Best Cinematography, and Best Editing. Writer/Director Martin McDonagh in particular picked up personal nominations for both areas of his work on the movie, and will be hoping to carry on his success having won Best Director at the Golden Globes on Sunday. Saoirse Ronan received her fourth BAFTA nomination for her performance in Greta Gerwig’s ‘Lady Bird’. Ronan will be looking to break the mould once again and replicate last Sunday’s Golden Globes by register her first BAFTA win. Irish producer Fodhla Cronin O’Reilly picked up two nominations for her work on British made ‘Lady MacBeth’. O’Reilly has been nominated in the ‘Outstanding British Film’ and ‘Outstanding debut by a British Writer, Director or Producer’ alongside fellow crewmembers - writer Alice Birch and director William Oldroyd. Short Producer Patrick Campbell received a nomination for 'A Drowning Man', while John Fitzpatrick is nominated in the same British Short Film category for his role in writing the short 'Wren Boys'. Cartoon Saloon’s ‘The Breadwinner’ was not among the nominees for Best Animated Feature film, missing out to ‘Coco’, ‘Loving Vincent’, and ‘My Life as a Courgette’. Irish resident Daniel Day-Lewis picked up a nomination for his swan-song performance in ‘Phantom Thread’, named alongside Daniel Kaluuya (‘Get Out’), Gary Oldman (‘Darkest Hour’), Jamie Bell (‘Film Stars Don’t Die in Liverpool’), and Timothée Chalamet (‘Call Me By Your Name’). ‘The Shape of Water’ and ‘Dunkirk’ were the two most successful of the nominees, picking up 12 and 8 nominations, respectively. 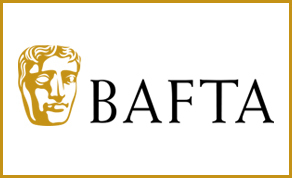 The 71st British Academy Film Awards take place on February 18th, 2018 at the Royal Albert Hall in London.